Question: Hi art primo, what do you recommend as an high durability paint for trains, walls, etc? I know that rustoleum is great In durability, is there any paint that you carry that is very comparable to rusto in long lasting/overall durability? AP Reply: Yes definielty. 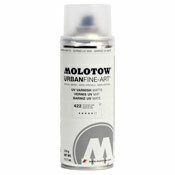 We have Molotow, origonally designed for Berlin subway painters. Real heavy duty lacquer paint; made of automotive grade pigments. Guarunteed to run for years. Also works perfectly in the rain and cold, unlike Rusto which turns into drippy goo in the cold. Thiis is a good time to try. We are doing $5 flat rate shipping on all our orders. Try a couple and see for yourself!